It’s certainly getting cold as we head towards Christmas. What better to do than read the Public Health newsletter with a hot cup of tea? In this edition Dr Sarah Barnes and Dr Hannah Jordan introduce the Wild at Heart project (“Be Wild, Whatever Your Age”), and Prof Michelle Holdsworth shares news of an exciting new project on dietary transitions in Ghana funded by the Bill and Melinda Gates Foundation and UKAid. As part of helping staff and PhD students get to know each other we’ve decided to include a short piece in each newsletter that introduces one of our PhD students. In this issue we introduce Sophie Reale. Sophie has been a great help to me as part of a small group looking at how we integrate staff and PhD students better in Public Health – thanks Sophie! Also noted are some congratulations, including for Prof Paul Bissell who is leaving at the end of January to take up the post of Dean at the School of Human & Health Sciences at the University of Huddersfield. Paul – we will miss you! Dr Clare Relton, Senior Research Fellow from Public Health at ScHARR who is leading the team behind the Yorkshire Health Study (supported by the NIHR CLAHRC Yorkshire & Humber) was recently interviewed for the Sheffield Telegraph to discuss the findings. The study aims to measure the city’s weight, drinking, mood and exercise habits. You can read more about the research and Clare’s interview here. As part of the work within the Public Health Health and Environment research theme, Dr Sarah Barnes and Dr Hannah Jordan have recently carried out a small consultancy project to evaluate Wild at Heart, a Lottery funded intervention run by Sheffield and Rotherham Wildlife Trust(SWT). 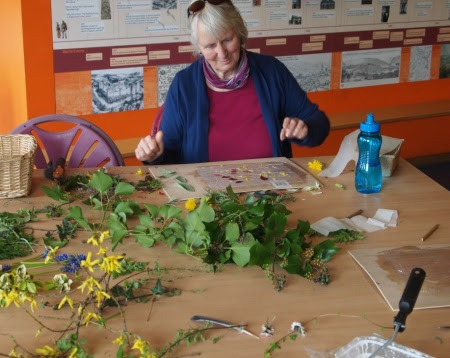 The intervention delivers wildlife-related activities for older people and other vulnerable adults in Sheffield to improve their health and well being; reduce isolation; and give them the confidence to get out and about in their community. You can read more about this interesting project here. 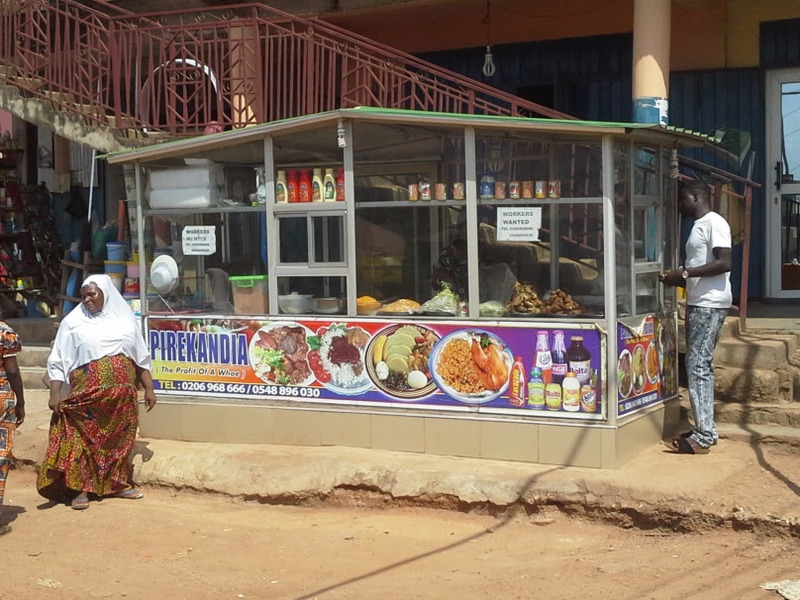 We are very excited that our project on Dietary transitions in Ghanaian cities has been selected for funding as part of the Drivers of Food Choice Competitive Grants Programme, which is funded by the Bill and Melinda Gates Foundation and UKAid. Our project will specifically investigate dietary transitions in Ghanaian cities by mapping the factors in the social and physical food environments that drive consumption of energy dense nutrient-poor (EDNP) foods and beverages, contributing to the spread of diet-related non-communicable diseases. The project will last for 24 months and is expected to start in January 2017. It will be implemented in two Ghanaian cities of different stages of dietary, demographic and epidemiological transition: in Accra (led by Dr Amos Laar and involving Dr Kobby Mensah from the University of Ghana) and in Ho (led by Dr Francis Zotor from University of Health and Allied Sciences). Besides involving staff from ScHARR (Prof Michelle Holdsworth, Dr Robert Akparibo, Dr Amy Barnes), in the UK it will involve collaborations with the Universities of Liverpool (Dr Mark Green) and Loughborough (Dr Paula Griffiths), and the UNESCO Chair on World Food Systems at the CIRAD in France (Nicolas Bricas). We look forward to telling you more about the project once it is underway. Samuel Lassa, Sarita Panday and Jiban Karki. Our very best wishes to all of them for the future! Congratulations to Dr Evangelos Kritsotakis of Public Health, who was successful in the recent ScHARR ResearchStimulation PrizeCompetition for his project – Methodological and applied research on the clinical epidemiology of recurrent infections due to extensively drug-resistant pathogens in critically ill patients. Congratulations to Prof Paul Bissell our Director of Teaching and Learning, who will be leaving ScHARR at the end of January 2017 to take up the post of Dean of the School of Human & Health Sciences at the University of Huddersfield. Paul will be sadly missed but we wish him every success for the future. Hopefully we will still see him around in an honorary capacity. 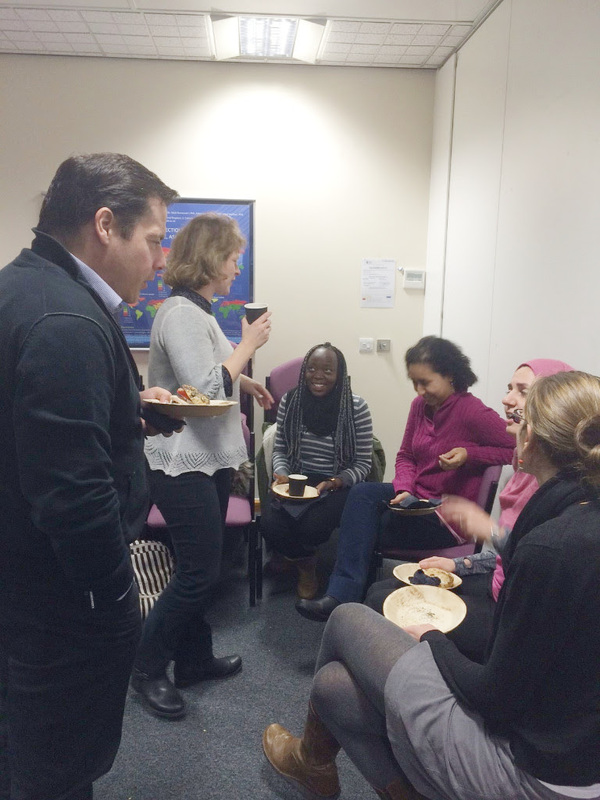 At our November section meeting we had the chance to meet some of our new PGR students and returning students, over a sandwich and a cup of coffee. Thanks to all who came – we had a good turnout of both staff and students. It was a great opportunity to put a face to a name for both staff and students alike, and hopefully this will give us chance to get to know each other a little better! All PhD students with a supervisor in Public Health are warmly invited to join us at our monthly Public Health section meetings. Tea and coffee, and usually some cake, is provided. The first 20 minutes or so are a time to catch up with friends and colleagues. People are welcome just to come to this, or to stay on for the rest of the meeting where we share news and discuss section and school issues. Hi everyone, I am a second year PhD student in the strand of food and nutrition. I started my PhD in October 2015 after being awarded a fully funded faculty scholarship. Prior to this I completed a BSc Sport and Exercise Science and MSc Psychology at Sheffield Hallam University. 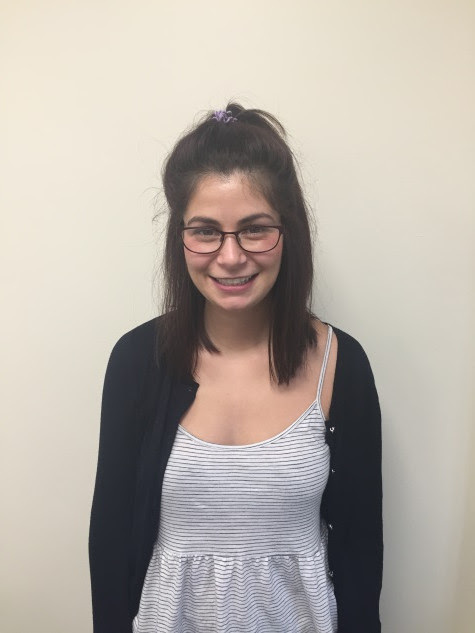 During my undergraduate degree I completed a 6 week work placement at Rotherham Institute for Obesity and went on to be employed as a health care assistant and exercise therapist during the completion of my master’s degree. These experiences developed my research interests and led to the publication of two studies on menu labelling and food choices (Reale and Flint 2016a), and the impact of food labelling on visual attention in adult populations (Reale and Flint 2016b). My current research is supervised by Dr Sam Caton and Dr Robert Akparibo. It remains in my field of interest but rather than working with obese adults, I am now working with toddlers and investigating portion size. The focus is on snack intake and portion sizes that caregivers serve to their young children. I will be using a mixed methods design combining responses from an online survey, interviews, observations and a pilot RCT. In addition to completing my PhD I am this year’s PGR rep. I commenced the role in September 2016 in the hope that I would be able to make new PhD students feel as welcome to ScHARR as our previous reps made us feel. Alongside attending meetings and organising social events, I decided that I wanted to enhance physical activity among students as we spend most of our days at our desks being sedentary! 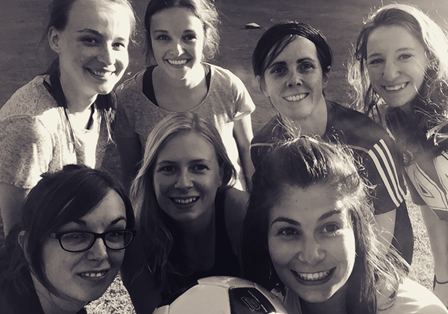 In the summer I managed to persuade some of the girls who had no experience playing football to attend fun weekly training sessions led by myself in Western park. This soon snowballed from 4 to 12 players and we now have a team in the university’s intramural league with weekly matches at Goodwin Sport Centre. We are yet to win our first match but we have scored our first goals and certainly have the biggest support every week, with thanks to our fellow PhD students. HA Osei-Kwasi , M Nicolaou, K Powell, L Terragni, L Maes, K Stronks , N Lien, M Holdsworth and on behalf of the DEDIPAC consortium. Systematic mapping review of the factors influencing dietary behaviour in ethnic minority groups living in Europe: a DEDIPAC study.